Oil prices came crashing down Thursday to trade below $70 per barrel after OPEC announced it was leaving oil production levels unchanged. WTI crude trading in the U.S. fell by roughly 7% to just below $69 -- a level not seen since May 2010. 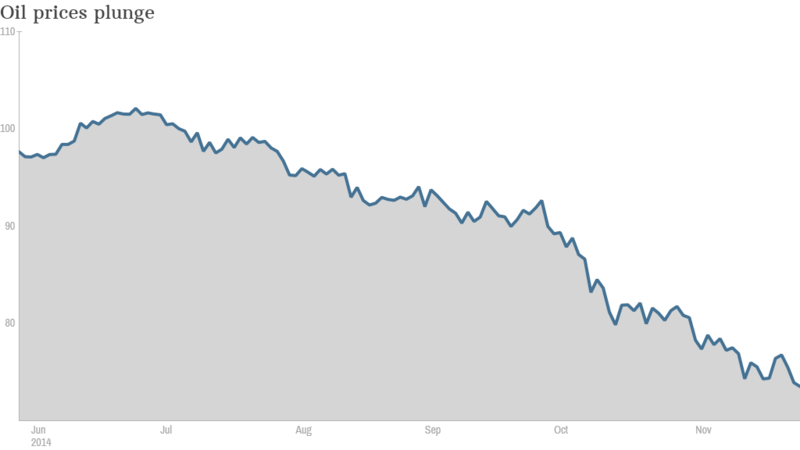 In Europe, Brent crude prices also fell by about 7% to trade just below $73. Many had expected OPEC to agree on a cut to oil production in a bid to boost prices. But the organization of major oil producing nations refused to budge after six hours of negotiations. Specifically, Saudia Arabia, which has the most clout among the OPEC members, wanted production levels to stay put. This lack of action is bad news for certain oil-producing countries like Russia, Nigeria and Venezuela, which depend on prices of at least $90 a barrel to meet their economic targets. Lower oil prices could also halt the U.S. shale oil boom, which depends on higher prices. 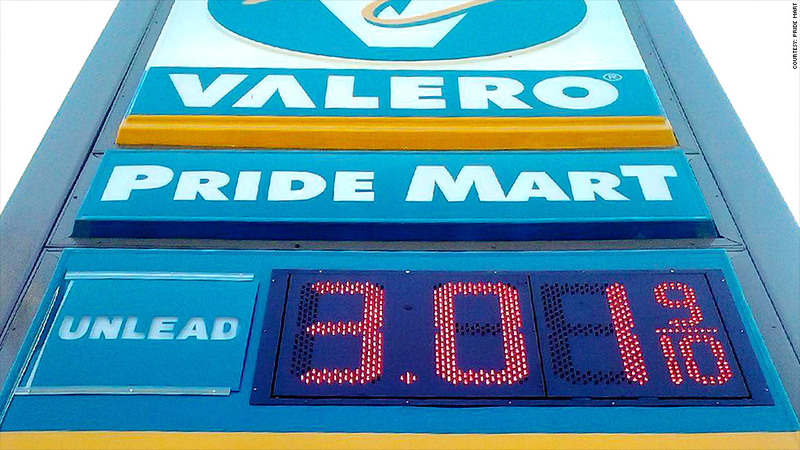 Oil prices have fallen by roughly 30% since June, and they kept pushing lower Thursday. Meanwhile, some OPEC members including Saudi Arabia, Kuwait, Qatar and the United Arab Emirates can afford to be less concerned about falling prices because they have built up a deep financial cushion of $2.5 trillion dollars in combined savings. "The Gulf authorities may see a period of lower oil prices as working in their favor over the longer-term, particularly if it squeezes the shale industry in the U.S.," said Jason Tuvey, a Middle East economist at Capital Economics. Shares in major oil companies, including BP (BP) and Royal Dutch Shell (RDSB), were dropping on the London stock exchange after the OPEC decision was released. Stock markets in the U.S. were closed for the Thanksgiving holiday. -- CNNMoney's Ivana Kottasova contributed to this report.